It monitored illegal traffic levels on 43 file-sharing sites and found that they generated more than 53 billion visits per year. The top three - RapidShare.com, Megavideo.com and Megaupload.com - generated more than 21 billion visits. Such sites are becoming as popular as peer-to-peer methods of accessing illegal content. The study only used a small sample of sites suggesting that the problem could be in fact much bigger. "The numbers are staggering," said Charlie Abrahams, vice president of MarkMonitor. The study was put together following requests from the US Chamber of Commerce to identify trends and rogue sites. Mark Mulligan, an analyst at research firm Forrester, points out that the numbers of visits does not necessarily equate to the number of downloads of illegal material. But it does show that commercial file-sharing sites, alongside other non-network based methods, are becoming as popular a way of sharing pirated music and films as peer-to-peer technologies. "These upload sites index their files. It is very easy and convenient," he added. "Upload sites, alongside instant messaging and blogs, are now on a par with peer-to-peer sites when it comes to piracy," he said. What is more it is "proving difficult for content owners to do much about them", he said. Users maintain that the sites are also used for legal file-sharing and that the number of visits do not give any indication of the amount of illegal content hosted on the sites. One of the sites highlighted by the study, RapidShare, has come under scrutiny from the RIAA (Recording Industry Association of America) which blames the Swiss-based file-hosting firm for carrying huge amounts of pirated content. It and other content owners want the firm to install filters to police the illegal content changing hands via its site. In Germany this week, that aim was struck a blow when the Higher Regional Court of Dusseldorf ruled that Rapidshare does not have to install such filters. 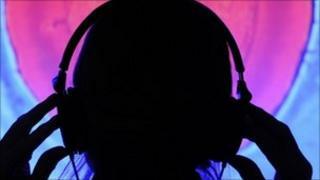 It found that the firm was taking "reasonable measures" to fight piracy. The attempts to block the content being transacted over such sites brings back memories of the early attempts to shut down Napster, said Mr Mulligan. "It is complete deja vu and it took a very long time to close that down," he said. With legislation on dealing with peer-to-peer illegal file-sharing already looking out of date, it could be time to find other ways to crack the nut, he thinks. "Illegal file-sharing is becoming incredibly complex and it is becoming over-burdensome to try and police it," he said.